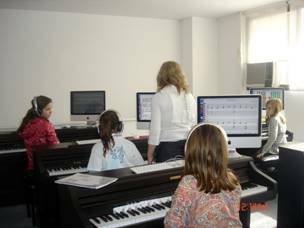 To complement the Soft Mozart music education software program, MVI developed the ‘Soft Way to Mozart’ learning curriculum which has a proven and outstanding track record of success. The most prestigious music conservatory in the world, founded by Peter Tchaikovsky, agrees. The Moscow Conservatory recently issued a book for educators, ‘How To Teach Solfeggio In The 21st Century’. MVI’s Grand Staff elementary simplification invention derived from data that had been collected during 10 years of program testing and performance enhancement. 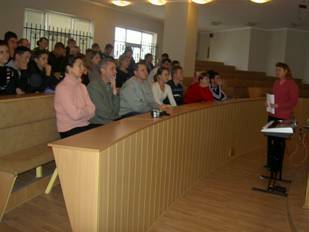 The ‘Soft Way to Mozart’ curriculum is being taught in several colleges and universities in Russia and Spain as a new subject that every future educator should know. Currently, the Soft Mozart program has been sold in 48 countries and is being used by music educators in at least 14 countries. The ‘Soft Way to Mozart’ curriculum has been successfully used to teach piano to children all over the world. It assures the development of a solid musical background for beginners and offers a powerful way for advanced students to further improve and enhance their skills. Perhaps the most important aspect of the ‘Soft Way to Mozart’ Learning Curriculum is that it does not heavily require a music teacher to lead the program. Anyone who can use a computer can help beginners learn to play piano and read music. For children younger than five, a trained adult is recommended to set up and log onto the computer.